This issue features a nice feature story on Geno Delafose and French Rockin’ Boogie. A new feature, Where Is This?, can be found on page 6. See if you can identify this Florida dance venue. Note: the button above links to the online document that is supposed to present the information in an optimal format for viewing on your device. However, you can also download the document as a .pdf if that is easier for you to read and navigate. Heb jij nieuws? 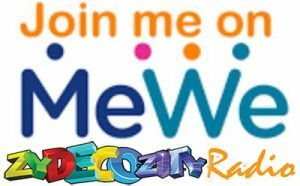 Deel het dan via ZydecoZity Radio. Onthoudt, samen maken wij de muziek populair en niet iedereen zit op facebook of MeWe. Do you have any news? Then share it via ZydecoZity Radio. Avez-vous des nouvelles? Puis partagez-le via ZydecoZity Radio. Il n’y aura pas de Nuits Cajun à Saulieu cette année. C’est ce qu’a décidé l’Office municipal de la culture, après une édition 2018 qui n’a pas remporté le succès escompté. | Er zullen dit jaar geen Cajun-avonden in Saulieu zijn. Dit is wat het Municipal Office of Culture besloot, na een editie van 2018 die niet het verwachte succes had gegeven. January 8 Cajun Zydeco Dance in St. Pete will celebrate the DJ’s birthday. FEATURE STORY this issue is “More! More! More Stories and Reviews of Steve Riley and the Mamou Playboys! Over the past 30 years, Steve Riley and the Mamou Playboys has been the hottest and most creative of Louisiana Cajun bands since its founding in 1988. With 14 albums produced to date, every one is a gem worth owning. Two typefaces that were released the same year the Mamou Playboys were formed are featured: Rotis and Avenir. Chubby Carrier and the Bayou Swamp Band is touring Florida in January 2019. Festival-O-Rama resumes for 2019 festivals across the United States. Excerpt: A native of Mamou, and cousin to accordion player and builder Marc Savoy, Steve Riley became a protégé of Dewey Balfa’s when he was only 15, learning to play the Balfa Brothers and Marc Savoy’s driving, intricate style. Everyone in his family is a musician. His father is also a famous Cajun accordion builder. His mother is a noted author. His brother owns a record label. It probably never occurred to Wilson Savoy that he could just be a musician. This article covers how Wilson Savoy came to organize the Pine Leaf Boys band (with lots of great photos by David Simpson), and some of the projects he has undertaken following his other passion, building stuff out of wood. We have also booked the fabulous Folk House for the 2019 festival – it will be the 2nd weekend of October again and the actual dates are 11th to 13th October. Great news, eh? Please feel free to share that far and wide and most importantly, put them in your diary! It will be our 15th year! We will will continue to talk to The Milton Rooms over the coming months and no doubt if you wish to express your views to them (info@themiltonrooms.com) on how much coming to Malton means to you, it wouldn’t do any harm! Let’s hope that 2020 will see a resurgence and this much loved Festival will not be lost for good. Een documentair project over de Cajun-rockband The Lost Bayou Ramblers is bekroond met de Franse Culture Film Grant van het industrie-initiatief #CreateLouisiana en het televisienetwerk TV5 Monde. “Op va continuer!” (We gaan door!). Deze woorden besluiten elk concert gespeeld door The Lost Bayou Ramblers. Het geluid van zijn instrument resoneert nog steeds wanneer Louis Michot, de violist en de zanger van de band, zijn boodschap van hoop aan de menigte geeft. “Cajun-cultuur en muziek zijn niet dood. We gaan door! ” read on …. A whole weekend of Louisiana-style music, dance food, drink meeting new people and having a good time! We are pleased to be able to tell you that from next year the Yorkshire Cajun Festival is to be run directly by our fabulous venue for the past 7 years – THE MILTON ROOMS. The dates are confirmed as 15-17 March 2019. The small Yorkshire Cajun Committee of John, Anne, Olga and myself felt unable to continue with the Festival in it’s present form mainly following John’s radical change of circumstances which would drastically limit the time he has available. Other commitments and (in my case) advancing years have also been factors. We shall be advising The Milton Rooms on bands to book etc. I would like to assure everyone that we have remained financially sound throughout and we wish to thank all supporters of the Festival, all those who have offered and given help, our incredible Cajun Kitchen Krewe, the Milton Rooms for all their support and for agreeing to take over organisation of the Festival. Please continue to support them to keep this great Festival going. Jeremy Powell has told us he is prepared to continue to provide the sound – thanks Jeremy, great job! Finally I want to specifically mention the enormous contribution of John Adamson. As the main Festival organiser, John has booked all the bands, arranged their accommodation, dealt with all the finances and masterminded the decoration of the hall amogst many other things. 15-17 March 2019. The Milton Rooms management is pleased to announce that it has agreed to take over the running of the 8th Cajun and Zydeco Festival in 2019 and all information will be made available via this section of the Milton Rooms website. www.themiltonrooms.com We look forward to seeing you in Malton next year when of course you will see a lot more of us on the dance floor as we will have Cajun/Zydeco festival on our doorstep! 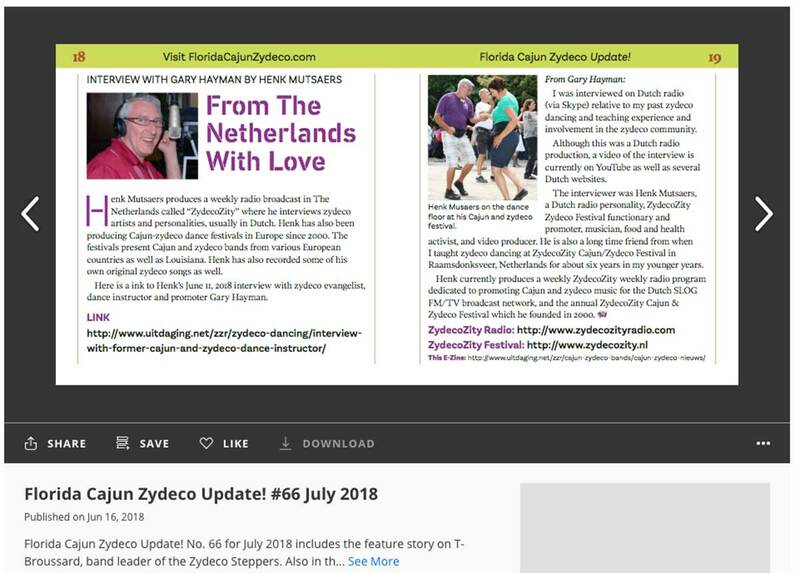 Last weeks Zydeco Mystery Song Mailing Lists, and the week before, have been quite UNIQUE so I thought I would like to bring your attention to them. 14-06-2018 Onlangs met het interview over de her opstart van het Ameland Festival werd het duidelijk dat we weer een nieuwe zydeco band hebben met aan het roer oudgediende Peter Mul. 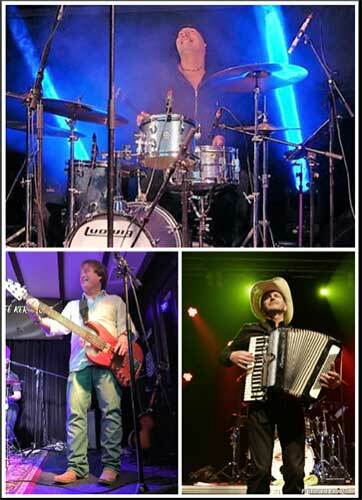 Zydeco La Louisiane is een ‘Zydeco Power Trio’ met Bill Honing op Drums, Peter Kummer op Bas en Peter Mul op Accordeon. De naam van de band verwijst enerzijds naar de stijl van de muziek, en anderzijds naar de unieke cultuur van de staat Louisiana met zijn Franstalige wortels. Feature story is Chris Ardoin: Storied past. Bright future. Story mentions Creole musicians in the Ardoin family: Amede Ardoin, Alphonse Bois Sec Ardoin, Milton Ardoin, Lawrence “Black” Ardoin, Sean Ardoin, Morris Ardoin, Russell Ardoin, Ronald Ardoin, Dexter Ardoin, Marcus Ardoin. Festival-O-Rama festivals occurring in June, July and August. Atlanta Cajun Zydeco Association Dance will be Roux du Bayou Cajun Band on June 16. Cajun Zydeco Dance in St. Pete is June 5 and June 19. Anthony Bourdain Parts Unknown will feature Louisiana cuisine on Father’s Day, Sunday June 17. Willis Prudhomme Living Legend CD in 2006 was produced by Chris Ardoin. 28-05-2018: Tijdens het Festival van ZydecoZity liepen we tegen Peter Mul aan. De recorder lag aan de mengtafel dus tijd voor een interview was er niet. Peter vertelde dat hij met een nieuwe band bezig was; “Zydeco La Louisiana”. De try-out had reeds plaatsgevonden en de eerste twee optredens stonden al gepland eind juni op Zydeco At Sea op Ameland. 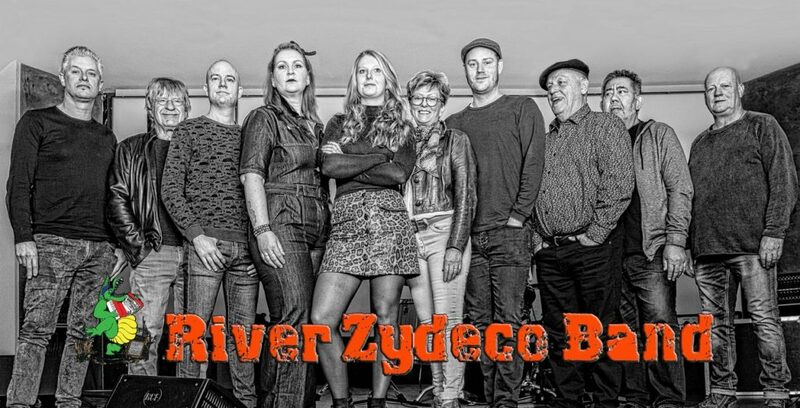 Een optreden van Zydeco La Louisiane is een reis door de geschiedenis van de Zydeco en een hommage aan de muzikale helden van de band zoals Buckwheat Zydeco, C.J. Chenier en Chubby Carrier. 28-05-2018: Op het festival kwam ik ookWim Kwaku Yeboah tegen. Hij is door Sam Murray meegezogen in de zydeco en was al vele malen te zien bij de ZydegoNutz als gastspeler op het wasbord. Wim vertelde een zydecoband te willen beginnen. Hij zoekt nog iemand op accordeon.